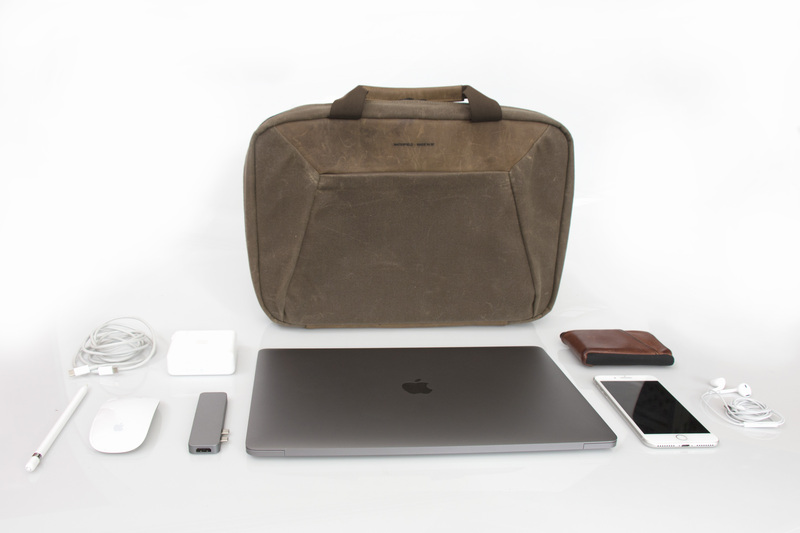 Local San Francisco manufacturer, Waterfield Designs, announces the upgraded Zip Brief, the ideal minimalist laptop bag for commuters and travelers — now with enhanced features to hold more gear while remaining ultra-slim and a rolling suitcase pass-through to lighten the load while navigating airports. 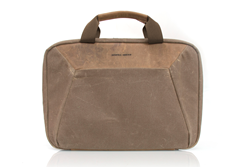 The Zip Brief sports a clean, attractive look for laptops of any size and is ideal for darting through airports. 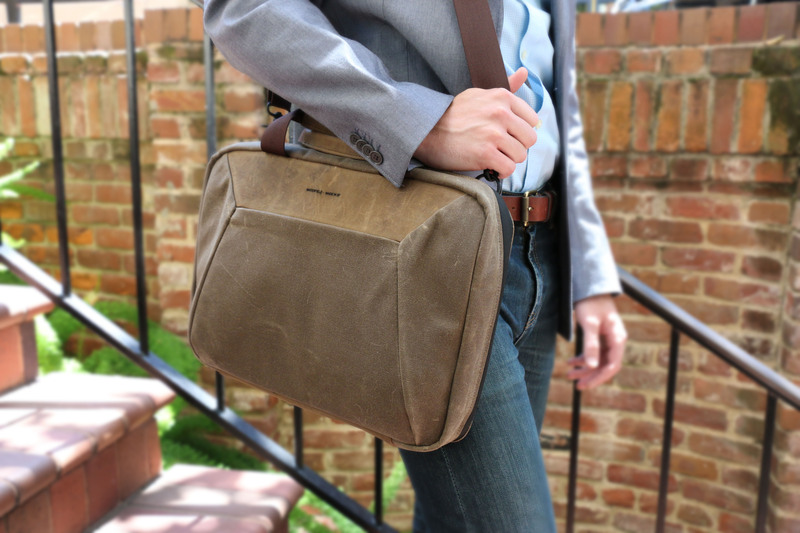 San Francisco designer and manufacturer, WaterField Designs, announces the refined Zip Brief. Ideal for the minimalist professional, the ultra-slim Zip laptop bag looks sleek from every angle, yet holds a full array of tech and personal necessities. 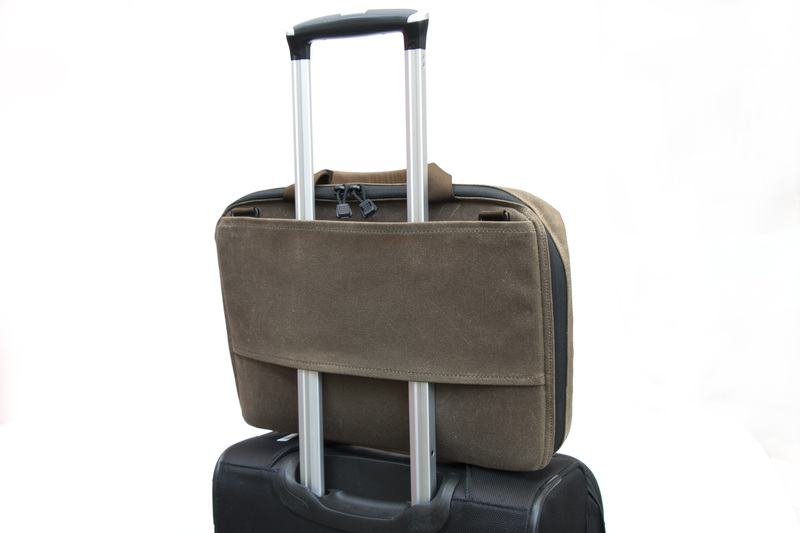 The briefcase unzips around three sides to lie flat for TSA-airport security and slips over a wheeled suitcase handle to help travelers easily race from curb to gate. 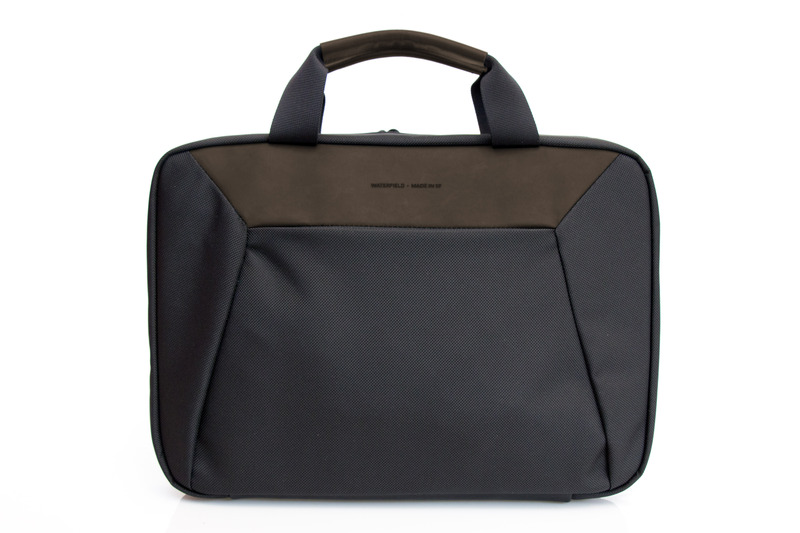 Increased depth and a pleated front pocket allow the new Zip laptop bag to hold an array of necessities while maintaining its slim profile, and the comfortable yet sophisticated look works well with everything from a suit to a casual Friday wardrobe. 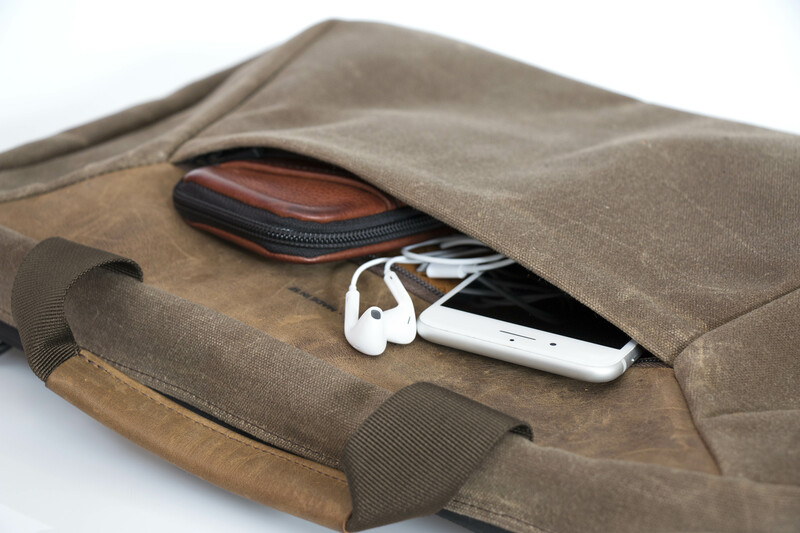 The Zip Brief is carefully designed to hold the essentials a professional needs for a day at work—a laptop or tablet, power supply, cables, small hard drive, smartphone, pad of paper and Apple Pencil— all organized and protected in one compact bag. 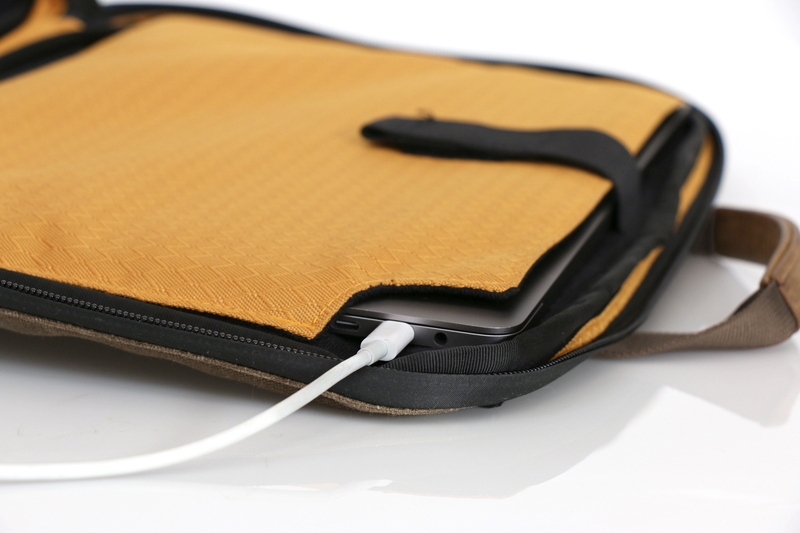 Inside, a padded laptop compartment with cut-out corners allows users to charge a device while it rests protected inside the sleeve. Two internal mesh pockets hold additional accessories and a slim enclosure stows the Apple Pencil, Surface Pen or other writing instrument. 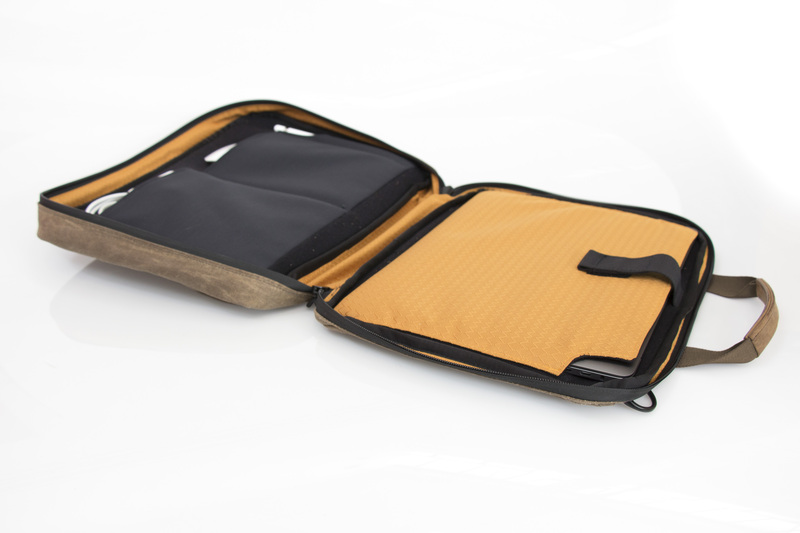 A few files or a notebook fit easily between the laptop sleeve and mesh accessory pockets. For quick-access items, a pleated front pocket with an internal Ultrausuede® smartphone pocket, zippers securely closed. The checkpoint-friendly briefcase can be fully opened at airport security while contents remain safely secured, and a pass-through panel slides over a rolling suitcase handle for easy transport. 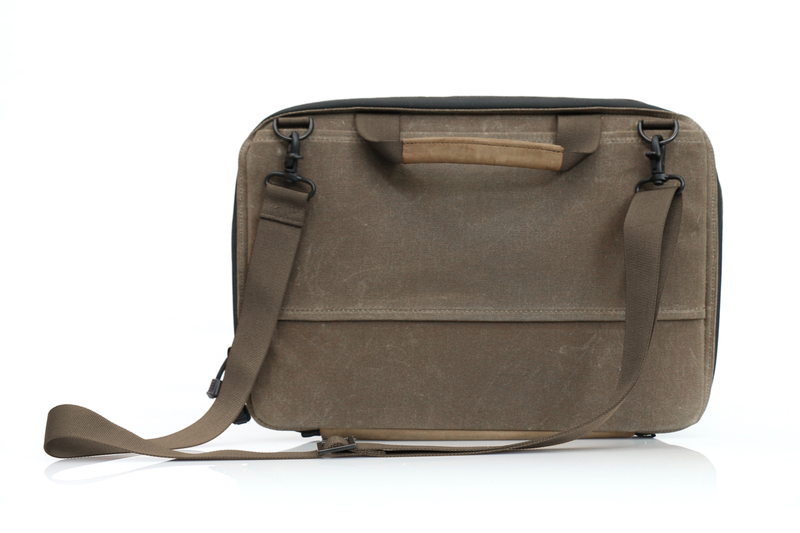 Dual leather handles and a removable shoulder strap provide two additional carry options. 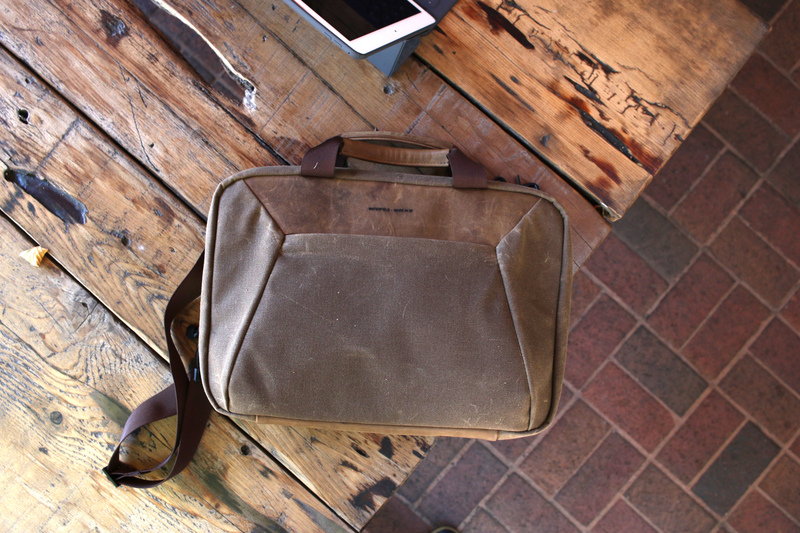 The meticulously-crafted Zip Brief is available in handsome, tan waxed canvas with ¬grizzly or chocolate leather trim, or black ballistic nylon with chocolate or black leather trim. 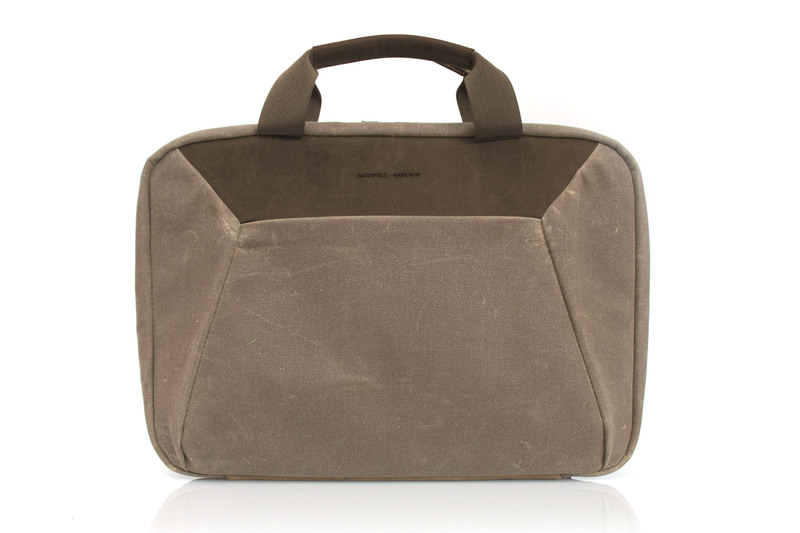 The laptop bag closes with waterproof zippers to keep contents safe from the elements. 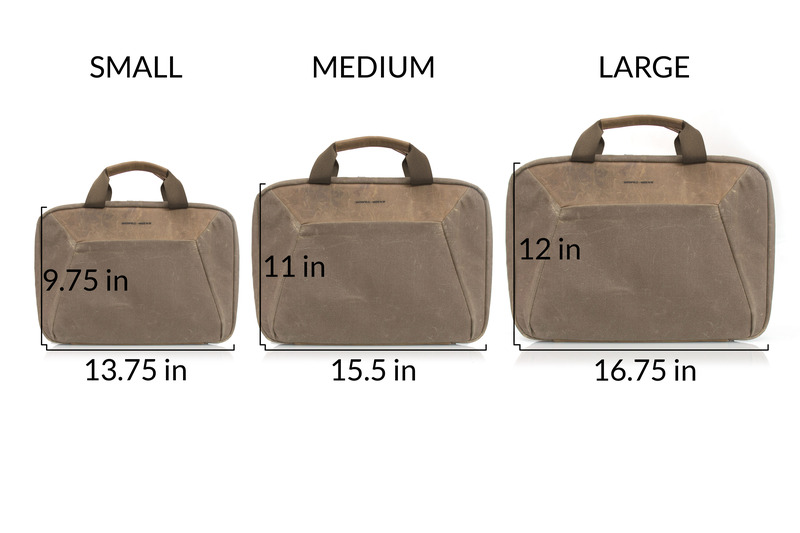 Three size options fit PC laptops, 15-inch, and 13-inch MacBook Pros. Price: Small $219. Medium $229. Large $239. 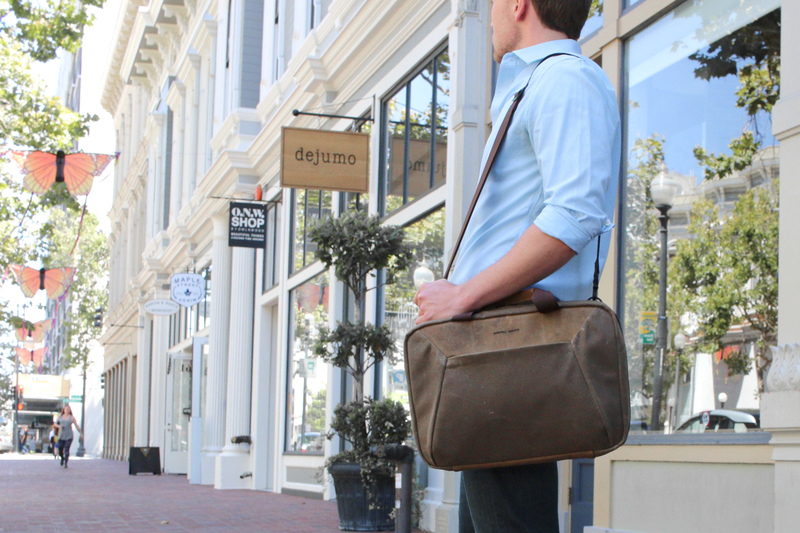 Color/Materials: Tan waxed cotton canvas with naturally-tanned, full-grain grizzly or chocolate leather trim, or black ballistic nylon with grizzly leather or black oil-tanned leather trim. 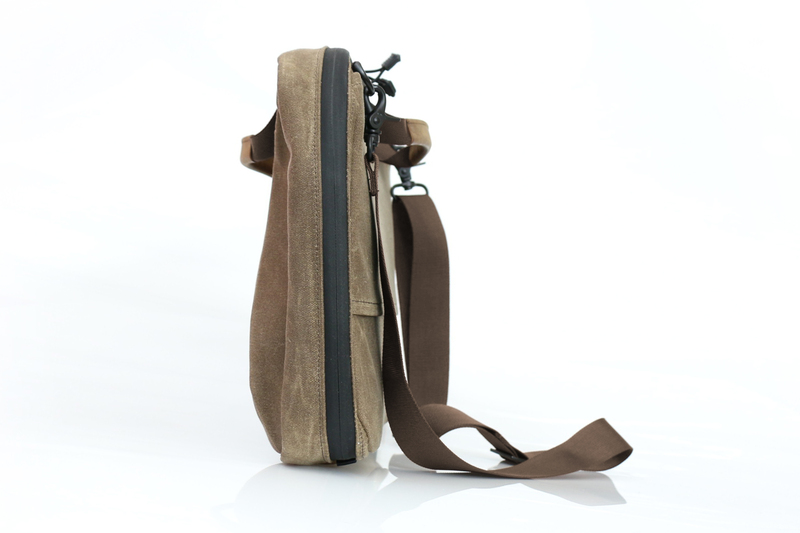 Bag includes two nylon handles and a detachable suspension shoulder strap. Dimensions/Weight: Small 13.75 x 9.75 x 2 inches; 1.4 lbs. Medium 15.5 x 11 x 2.5 inches; 1.7 lbs. Large 16.5 x 12 x 2.5 inches; 2.1 lbs. Pre-order now. Shipping begins August 4, 2017.